HIPAA compliant file sharing first became an issue for healthcare organizations when the 2013 Final Omnibus Rule enacted a series of regulations in the Health Insurance Portability and Accountability Act (HIPAA) regarding the security of electronic protected health information (ePHI) and the patients who it related to. Any personal information that identified a patient was classified as ePHI, and this meant that a solution had to be found for how to share files in compliance with HIPAA – particularly when the files contained images of an injured patient or lab results. 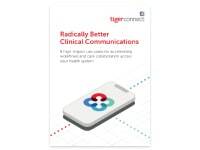 Fortunately, TigerConnect’s secure messaging solution enables medical professionals to share files and collaborate securely without risking a breach of ePHI, and with the result that workflows are accelerated, efficiency is increased and patients have an enhanced healthcare experience. 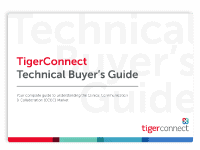 TigerConnect’s secure messaging solution has been specifically designed for ease of use, and authorized personnel wishing to share files containing ePHI simply have to compose their message, attach the file and send it to the recipient. 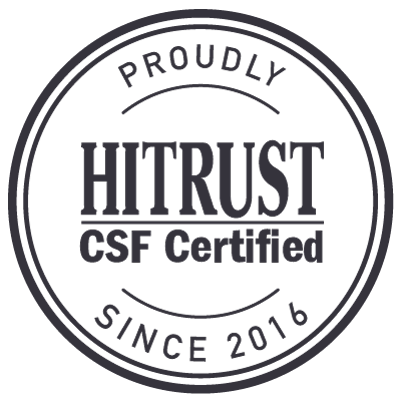 While in transit and at rest, the content of the file is encrypted in accordance with HIPAA regulations and the file is viewable within the solution. The recipient is alerted that a message is waiting for them, authenticates their identity with a unique username and password, and clicks on the link to access the file containing ePHI. The sender of the message can view when the file has been received and accessed, and he or she can then start a discussion thread about the content of the file and invite other colleagues to the discussion if extended collaboration is required. Being able to share files in compliance with HIPAA enables medical professionals to transmit images of injuries, send lab results, and consult on x-ray results or documents relating to payments for healthcare. All of the information transmitted by secure text messaging can be integrated into a patient´s Electronic Medical Record (EMR) to save time, enhance workflows and further increase efficiency. Other benefits of HIPAA compliant file sharing include cost savings for organizations who implement a secure text messaging solution and the patient who is being treated – Indeed one study conducted by the Ponemon Research Institute concluded that hospital discharge times could be reduced by 50% with a secure messaging solution, resulting in an average saving per healthcare facility of $557,253 per year. 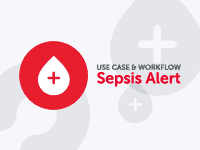 More importantly for patients, diagnoses can be made more accurately when files are shared by secure text messaging, and appropriate treatment can be administered in a shorter period of time to enable a faster recovery. HIPAA compliant file sharing also facilitates a smoother passage between hospital discharge and home healthcare, while physician consults can be requested quicker with a secure messaging solution should a home healthcare worker become concerned about the health of their patient. Medical professionals can receive PHI on the go with secure text messaging – enhancing doctor-nurse communications and eliminating phone tag. Read receipts confirm that secure messages have been received, removing the need for follow up calls when an on-call medical professional is urgently required. Automatically generated audit logs allow system administrators to monitor access to ePHI to ensure that any potential breach of ePHI can be identified and eliminated. The integration of a secure messaging solution with a corporate directory enables users to communicate with individuals and groups without having to look up telephone numbers. The ability to easily and securely forward important information to colleagues from an existing discussion thread via an enhanced message forwarding function. A delivery escalation feature which automatically resends notifications to alternate channels of communication if a reply has not been received within two minutes. A multiple inbox function which enables medical professionals serving more than one healthcare facility to access messages from various accounts using one menu. A “Do Not Disturb” feature has been added, which can be personalized to reply with situation-appropriate messages – similar to an “Out of Office” email message. TigerConnect’s secure messaging solution conforms to all the technical, physical and administrative standards demanded by HIPAA to protect the integrity of ePHI at rest and in transit and to date the TigerText app for enterprise has been implemented in more than 5,000 facilities – with over 150 million secure messages being processed each month. If you would like to find out how to share files in compliance with HIPAA, you are invited to download and read our free white paper – “TigerText – Secure Text Messaging” – or contact us to ask any questions you may have about HIPAA compliant file sharing. Alternatively, you are invited to request a free demonstration of a TigerConnect’s secure text messaging platform to see how HIPAA compliant file sharing is possible in a variety of healthcare scenarios.